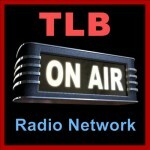 Listen to this show at the TLB Radio Logo below intro article. Show may be heard in full anytime after show start time. GRACELAND, Episode #3 for Saturday October 3rd. House Speaker, John Boehner’s announcement to resign from Congress sent shock waves through Washington, D.C. and stunned the GOP. Boehner will step down at the end of October making way for a new successor. The big question, at this point, is who his replacement will be? Writer and creator of the website, Coach is Right , Dr. Kevin “Coach” Collins is Graceland’s guest. Collins was both an adjunct professor of Behavioral Science at several N.Y.C. colleges and a Vietnam era Marine. Dr. Collins explains the events that he believes led to John Boehner’s resignation, which he suggests in part was due to avoid being voted out of the Speaker’s position. Some in Washington have surmised that the beginning of the end of Boehner’s Speakership may have begun in the summer. It was then that North Carolina Congressman Mark Meadows tried to oust Boehner as Speaker by introducing a rare House procedural move, which proved unsuccessful. However, that apparently started a chain of events that prompted Boehner’s exit as second in line in succession to the Presidency. The Speaker retaliated against Meadows by removing him as Chair of the Government Operations Subcommittee of the House Oversight and Government Reform Committee. It appears that Boehner was ill prepared for the blow back from this decision which came from numerous conservative House members. Continuous pressure on the Speaker led to a restoration of Congressman Meadows to his original position as Chair. According to sources in the House, with only 37% of the House supporting him Boehner realized last month that he did not have the votes to survive a motion to remove him. He attempted to create a coalition with Democrat support, but it proved unsuccessful. Dr. Collins will also share the importance of unseating Boehner to both Congressman Meadows and the Tea Party, and what qualifications the Speaker’s replacement must possess in order to be more representative of the Republican base. Also, later in the show, Graceland’s Host Jennifer Meadows, Co-host TJ O’Hara principal political analyst for the Independent Voter Network, and political insider, Charles Albert Johnson III discuss the lengths that the Hillary Clinton campaign will go to trying not to repeat the same mistakes of the 2008 race. Learn about how Hillary didn’t think she needed any help and responded, “I get $250,000-$350,000 to give a speech” and according to a friend she said, “and these Hollywood jackasses are going to tell me how to do it!” according to journalist, Edward Klein, in his new book, Unlikable. Did Hillary heed the advice Bill Clinton’s famous friend Steven Spielberg provided when he suggested the former Secretary of State take lessons from Hollywood acting coaches to help her learn to better connect with voters? Discover the answer and much more on the next Graceland! GRACELAND: Insightful interviews and sharp commentary covering the day’s top stories with a lot of heart and soul. Host, Jennifer Meadows, Co-Host journalist/author, Kevin Fobbs, Co-Host principal political analyst for the Independent Voter Network, TJ O’Hara and political insider, Charles Albert Johnson III. GRACELAND may be heard every Saturday at 11 PM EST (you will receive a “No Results Found” message if you click on the show link prior to air time) on the Liberty Beacon Radio Network, and can be heard in Full anytime after show publish time (pre-recorded).